I'm relatively new to the Netflix party and have had fun finding my way through their quite extensive catalog of viewing material for the past two months. I do tend to be such a creature of habit though and for most of this time I've stuck to the same series, and the same method of viewing. Narcos - A natural progression you might say! And yes, it's similar. Yet different too. This is a serialised portrayal of the drug lord Pablo Escobar and is quite exciting and dramatic. It's rated as 15s so it seems more appropriately aged for us, however I do wonder at this rating. We like that it's based on true events and, after some discussion, agree that half the programme being sub-titled lends more authenticity to the wonderful telling of this story. If you like to knit or crochet while Netflix viewing than an easier project would be best for this one! I did wonder if there was enough material for a second season though, and based on this article it would seem that there is. Good news then! Grace and Frankie - I cannot believe that I didn't get hooked on this one sooner. No-one told me that it starred Jane Fonda and Lily Tomlin you see. Such fabulous, accomplished actors, sure any series with those two in it would have to be successful. And with Martin Sheen and Sam Waterston joining them it's totally brilliant. The first episode totally captured my attention and made me laugh. From the 'shocking news' the ladies receive, the hippy-dippiness of it all, the hilarious beach hallucinations to the 'peeing in Ryan Gosling' they had me giggling away! Quietly ... earphones, remember?! And of course the final episode of the series was such a goodie. I tell ya, whatever about bronco-bucking a large inflated pink phalanx, I most definitely want to get up on a bar and dance! Oh, I so wanna be Grace and Frankie when I grow up...... either one. And I can't wait for season two. Naturally the teenager has Netflix downloaded on his laptop also, which is handy for a little evening viewing when we go away on hotel breaks. No laptop Netflix viewing at bedtime though. For me especially. I have prohibited myself from all online activity from 9.30 pm onwards, in deference to my raging insomnia. And then I thought..... 'sod that'. I don't sleep too great whether or not I turn off screens, so in retaliation I downloaded the Netflix app to my iPhone anyway! Take that, insomnia. It won't cure my insomnia, it may even make it worse, but it will certainly relieve the relentless boredom. And is also great for hotel breaks away. When I can't exactly play my usual 'musical chairs' with beds and sofas. Well, I could try I guess but it might get me into a lot of trouble! I am calling this my Nocturnal Netflix viewing. Not to be confused with our Netflix Nights above, which is a very different kettle of programmes entirely. I have lined up some, hopefully, calming nature programmes like the Blue Planet and some music ones too, in order to encourage sleep. I have to say, although I wouldn't do it too often, I quite like watching Netflix on my phone! So there you have it, our Netflix on the go; whenever and wherever we want it. This is how I watch mine. Do tell, I'd love to know. 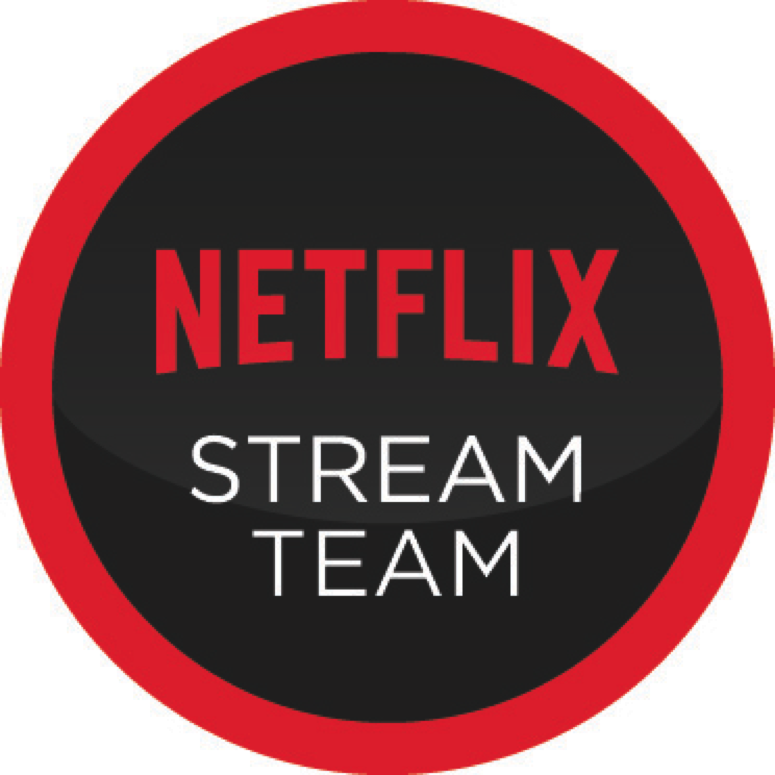 DISCLAIMER: As a member of the worldwide #Netflix #StreamTeam I received a years subscription and an Apple TV device in exchange for some reviews. All opinions, thoughts and words are honest and mine alone. I love most of these series too, and have just finished Narcos, which I unexpectedly loved! @Looking for Blue Sky: Oh, I sure know that feeling! I was a month procrastinating on this one....but I guess I did have to try them out before I blogged about it! Can't wait to read your post as I really do want to know the answer. I'd hate to think I was missing out on viewing options! I am thinking that I would quite like to get hooked into Grace and Frankie, sounds fun. 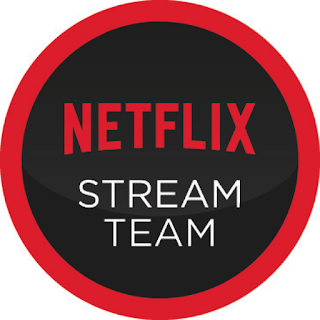 @Bright Side of Life: It is such a pity that the Netflix network doesn't stretch as far as South Africa :( I hope it finds it's way to you soon!